It is that time of year again for the seaside, the time of year when visitors start to disappear, when nights start to draw in and when the temptation is to stay inside. Obviously staying inside can be lovely but it is usually at its best when it closely follows a spell of time outside (preferably in wind and a bit of rain to really blow the cobwebs away). Down at the very end of the country, the folk on the beautiful Isles of Scilly understand just how lovely this time of year can be and celebrate it every year with the Autumn Walk Scilly Weekend. What better way to usher in the autumn than wandering round beautiful islands, enjoying the history, food and overwhelmingly beautiful scenery? 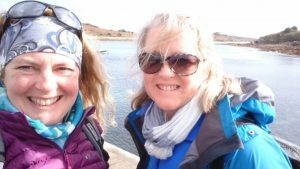 If you fancy doing this, it isn’t too late to book and, although other commitments are keeping us Blondes away this autumn, I thought I would let you know what it is about the Walk Scilly walking festival that keeps us wanting to go back for more. The islands themselves. One walk on Scilly can take you from coastline to coastline through the the most exquisite of scenery and across all types of terrain. The lack of hills. The highest point on Scilly is only 51 metres so, although the coastline does go satisfyingly up and down, you won’t be climbing mountains. The long views. Maybe because of the lack of mountains, Scilly views are amongst the longest and widest I have ever seen, you can stand in one spot and not run out of things to look at, even if they are all waves. The transport. How many walks on the mainland have to start with a boat ride? Okay there are a fair few, but on Scilly you could walk on a different island every day and each walk would start with the fun and excitement of a bouncy (and sometimes wet) boat trip with the St Mary’s Boatmen. The sand. Sand isn’t necessarily the best terrain to walk on, but who cares when it is the colour of pale honey? The people. 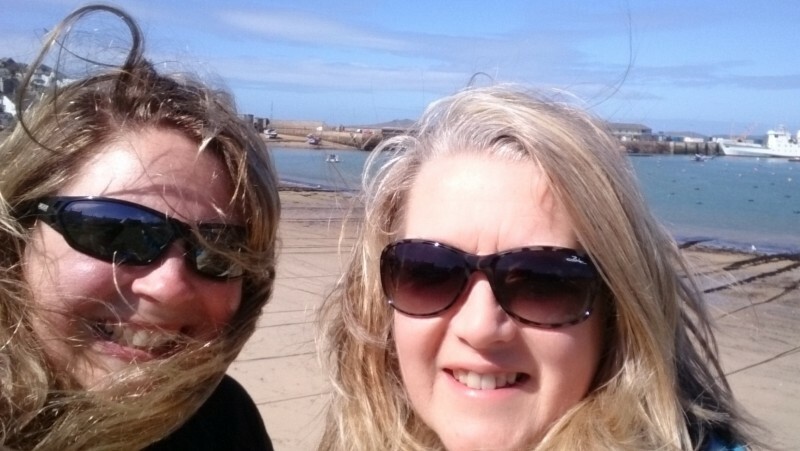 The people of Scilly are great, straight-talking, to the point, very friendly and knowledgable about the islands they love. The variety of walks. 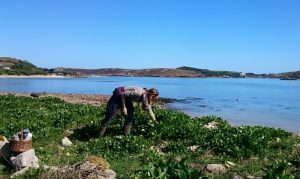 You wouldn’t think it possible on such small islands but where else can you forage for seaweed in the morning, eat it for lunch, walk round a garrison in the afternoon then catch a boat to a luxury hotel for dinner? 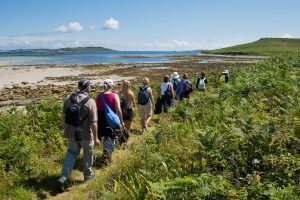 If you haven’t had a taste of the Isles of Scilly yet then the Walk Scilly walking festival would definitely be a good place to start. This comes with a warning however, once you have visited, you will almost certainly be hooked for ever!